This came together very nicely. It sounds like you're about out of space, but it sure would be nice to have the breaking backboard for some dunks. That was the big appeal to the other versions for me: trying to break that backboard and seeing the janitor tell you off as he passes by to sweep it up. If it's just a space constraint, it would definitely be worth going to 16K to include that. ok, since you asked ... I have a 1 player version in progress. The default game is now 1 player ( you must control P0). Still need to perfect the AI defense, but I think it will be doable . When I added the AI it messed up my game select routine, fixed now . Edited by easmith, Fri Mar 22, 2019 7:09 PM. The AI in this first iteration of your game is really good and already has a pretty good balance! After playing a couple games, I'm neither able to shut the AI out or are they able to shut me out completely. The movement of the AI is also really convincing as they don't just make a completely bee-line for me or the basket all the time, there's some random movement that's unexpected to add some authenticity to it. The work on this is so great! This is awesome. You've already done a great job on the AI. Amazing progress. There were a few times when the opponent would just saunter off to the left or right (which I took advantage of to up my score), but for the most part, it is a very good balance already. I haven't been able to break the backboard yet, but I haven't been able to get a whole lot of dunks on the opponent either.
. I think I fixed the defense a bit where this random "saunter" no longer happens. Also now the AI opponent gets to loose balls as well as player ( before player could get majority of loose balls) . Very happy with it now. Every now and then something weird happens where the ball cannot be picked up after a shot . But if this happens , or any other weird thing happens where the game sticks, press select and the ball will be placed at a random location at bottom of screen and whoever gets it first gains possession. I also changed the foul limit to 5 . After many refinements, I think I have the AI opponent just right. Very close to finished now I believe. I actually still have an entire 4K bank unused of he 16K. I wish I knew how to do music for before the game starts , like Harlem Globetrotters theme... If anyone wants to contribute a music routine I am all for it . Some final tweaks for realistic gameplay include allowing players and AI opponent to stop a dunk in progress by being in the way / jumping . Note: There is a weird bug that pops up very rarely which I call the "deflated ball" , where the ball cannot be picked up . If for any reason the ball cannot be retrieved , or if you are trapped by the AI opponent, press select and the ball will be reset at bottom of screen. I recommend reading the instructions to maximize experience. Edited by easmith, Tue Mar 26, 2019 8:32 AM. You could use that space with a few more playfields to animate the backboard breaking and a janitor. I'm really impressed with how quickly this game came together with AI. It plays really well. In the previous version, I rolled the score and saw several broken backboards (like with the other versions of One-on-One, that's my goal ). In this latest version, I made it to 97 points where the game ended with 1on1 appearing on the screen again and I was only able to break the backboard 1 time. Did the logic change for probability of breaking it? Also, the manual says there is no end to the game, but at least in that round, it seemed to end when the score would have rolled. edit: just noticed your earlier post stating it ends at 97. That's a nice update. Kinda like Activision Boxing, where the first to reach 100 wins. Edited by KevinMos3, Sat Mar 23, 2019 12:39 AM. I like this game, and the AI is a challenging opponent. Do you think you could add an AI to Combat? Thanks. Yes, game ends at first to 97 ( or 98 or 99 depending ) . The backboard break is still set at 1/5 prob. ,although there will be some variation . In my opinion it is best for it to be rare. I don't think the janitor is doable with both players also on screen. The shatter effect is enough for me , although it is not like the original game . You could make the players both walk down to the bottom of the screen automatically and then have the janitor go across the screen. Then they would be out of the way for the janitor to clean up. Can you only play the AI in one-one-one? Can you play AI in Horse or Around the World? This would require splitting up the play area into two kernels to draw all three sprites . At this point I am working on other issues. Still tweaking the AI a bit . Getting it to where neither is it frustratingly hard nor to where you can exploit an AI vulnerability every time is tough. I found a pattern that would basically always result in a dunk , or that if you just waiting long enough , a dunk lane could eventually be found . So I am adding the possibility of missing dunks and also a shot clock , so that you can't just dribble around until you can get around the AI opponent and dunk . This would require splitting up the play area into two kernels to draw all three sprites. Nope. You walk the players offscreen...and then one of the sprites becomes the janitor, moving horizontally. After he disappears, the players walk back into frame. This is basically handled as an intermission, where the sprites become "actors" and you just need to direct them where to go. --tightened up the AI defense a bit more. It is harder to dunk now . Also can miss dunk. Edited by easmith, Tue Mar 26, 2019 8:33 AM. Shot clock definitely makes it more challenging. FYI — Found a minor bug. If your opponent blocks your shot near one of the sides, the ball goes out of bounds and wraps to the opposite side. It stays there until you go over and pick it up, which allows play to continue. thanks. I have noticed that but I don't understand what is causing it yet . Since play can continue, it might have to remain as a rare occurrence. Edited by easmith, Wed Mar 27, 2019 5:31 PM. its so rad, lovin it bigtime my guy! Found another bug. If you just stand under the basket, you can jump and block any shot the computer opponent makes. You could just sit there the whole game and keep the AI from dunking or scoring. Perhaps implementing goaltending would help? So, if you block the opponents shot in that way, the shot still counts. This is not a bug per se. What you are doing is taking the rebound of a miss immediately off the rim . If the shot is made you do not see this happen . You can only block shots within the first few frames after a shot . Fixed this issue in update. Can now only rebound when ball is on downward arc. See if this is better..... It definitely lets the AI get more offensive rebounds. The way the game is set now, the AI player is a better shooter than human. This was to account for the fact that the human player can choose to take all high percentage shots, whereas the AI shot selection is more random . Also human player tended to get more rebounds . With this change, the AI will get more rebounds and I might need to adjust the AI ability down a bit. We'll see. Also fixed an issue where you could trap the AI behind the 3 point line and push the AI player out of the way for rebound. Almost all of the gameplay issues that I have noticed have been addressed at this point ! Edited by easmith, Sat Mar 30, 2019 9:32 AM. Trying to decide what to call this , in case i might want to have carts made ( Good Deal games has made small cart runs for a few of my other efforts). Any advice on copyright type issues? This is not exactly like the Dr J vs Bird game ( there are some differences : the horse and around the world , the side three point shot , no timed game) . 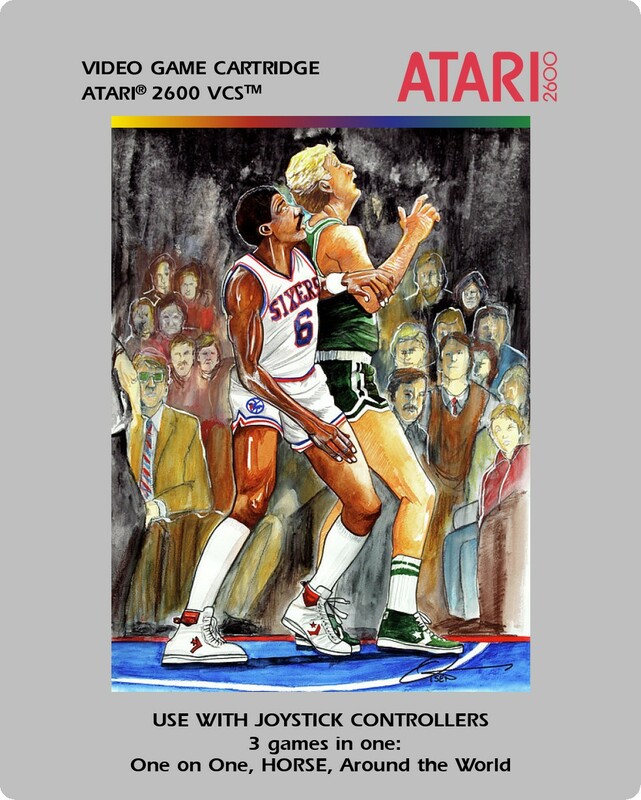 There currently is no reference to Dr J or Bird. 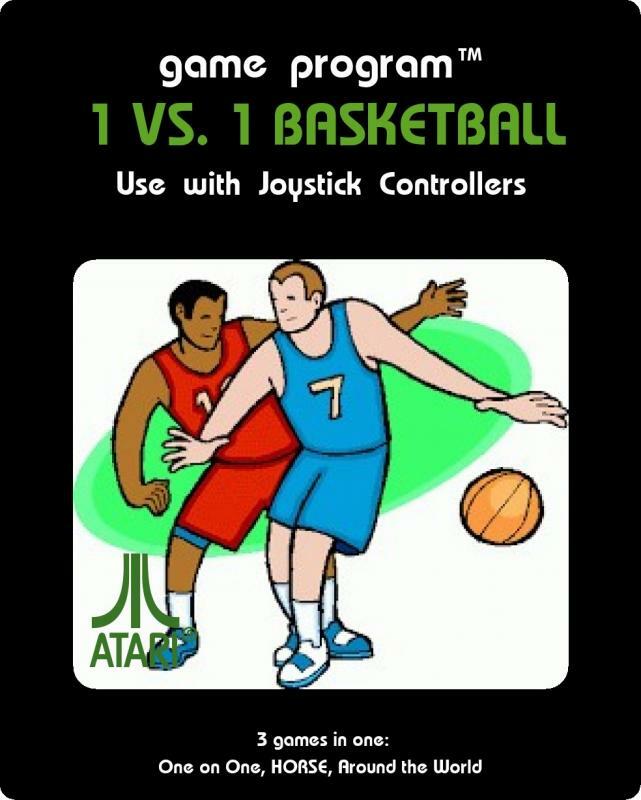 So I could call it One on One Basketball, or Backyard Basketball , etc. I'd be careful to avoid any trademarks owned by either Electronic Arts or the NBA. I believe that both are very protective. You could call it One vs. One Basketball and be fairly safe.